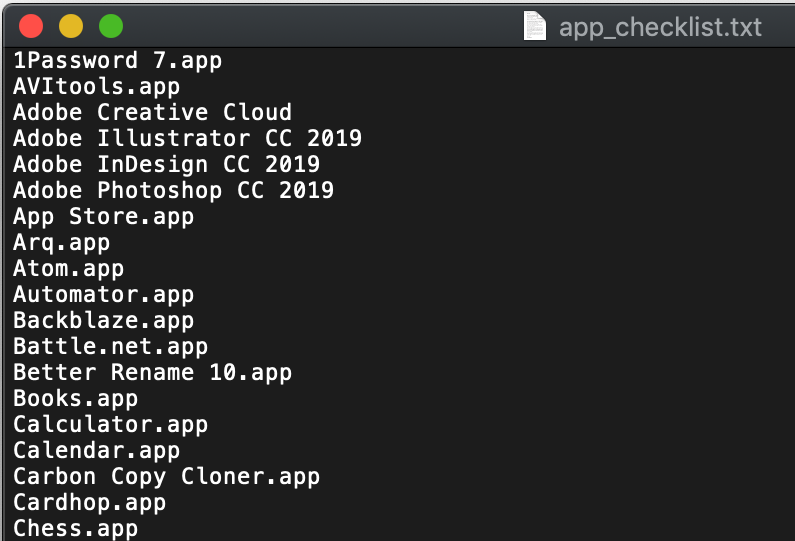 If you are setting up a new Mac and choose not to do a migration (for whatever reason), you may want to have a list of all your applications so you can get back up and running as quickly as possible on the new machine. This is a quick tip that I always use when I am setting up a new Mac. 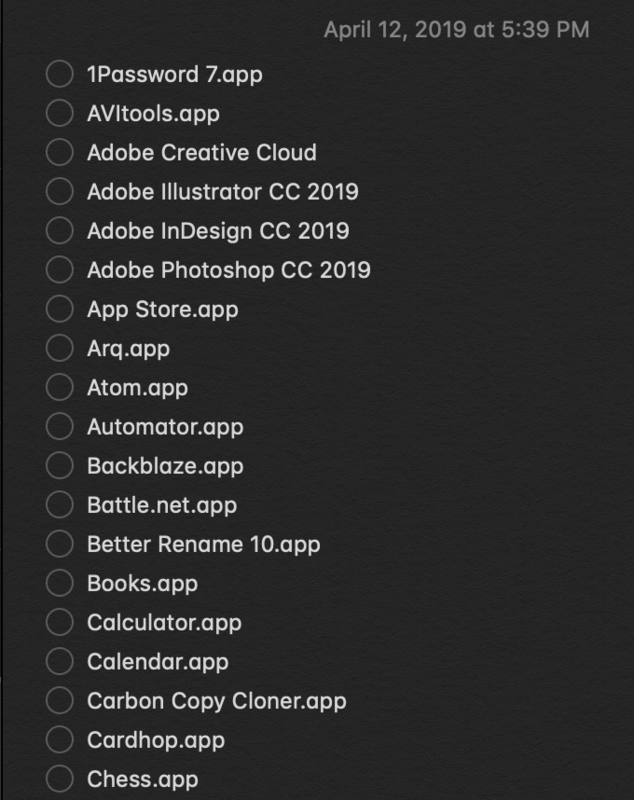 On your “old Mac” Follow these easy steps to get a quick checklist created of all your currently installed apps. 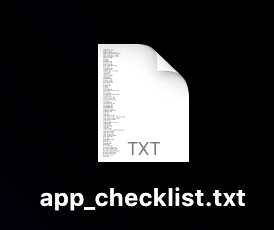 Open this new text file that is on your desktop. Select all and copy the text. Open Notes.app. Paste this text into a new note. Select all the text in the new note, and click the “Make a Checklist” button.